In March of 2012 Jim Berkenstadt was interviewed by the Americana Gazette. Below is an excerpt from the article. 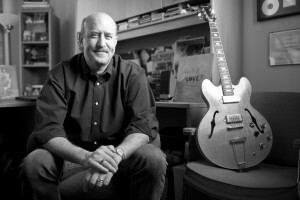 BW: So Jim, How did you get started as a researcher for Music, TV, and Film? Your client list is pretty impressive. JB: It started in the late 60’s. I had collected records prior to that and I was one of those people who would study the album front to back. Because I wanted to know who’s playing that instrument. We got more of that information as the decades went on. I wanted to know who produced it. I wanted to understand what it means when it says this guy produced it. What does it mean when it says that someone’s the engineer? What are some of these weird percussion instruments? I was just into that. I played instruments as a kid but my real interest in music was in listening to it and then documenting it.